Man, this Twitch thing - I still find it intriguing that people like to watch other people play video games instead of actually playing themselves. I mean, there's nothing wrong with it (I'm actually guilty of getting caught up in watching other people's games when I open the app, too), it's just something I never thought would be a thing, you know? Anyway, that's not the point. 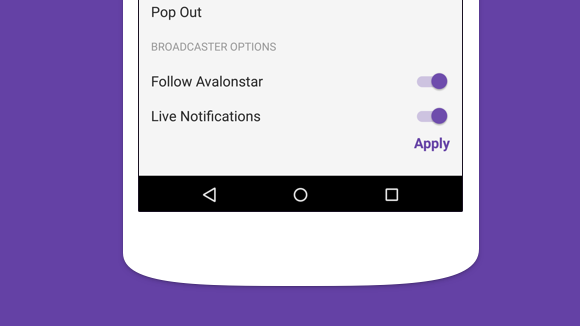 This is about Twitch 4.4, which brings a couple of new features to the app. First and foremost, it brings push notifications for broadcasters that you're already following, so you'll know when something's going down. That's pretty cool, but if you decide you don't want notifications from certain people, you can actually disable this feature on a per-broadcaster basis (without actually unfollowing them). That's some good granular control right there. It's also worth noting that if you already have the app installed, you'll need to head into settings to enable notifications. If you're installing it for the first time, however, it should be on by default. Otherwise, there are a couple of other, smaller, features in 4.4. If you're on a tablet, you can now video chat in landscape mode. Also, the search bar is now visible on all devices, regardless of size. 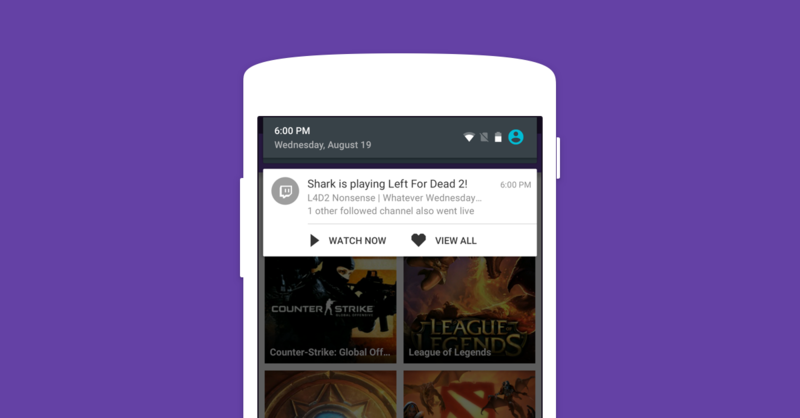 Twitch 4.4 should be available now in Google Play. Now, if you'll excuse me, I'm going to watch someone do a speed run of Portal 2.